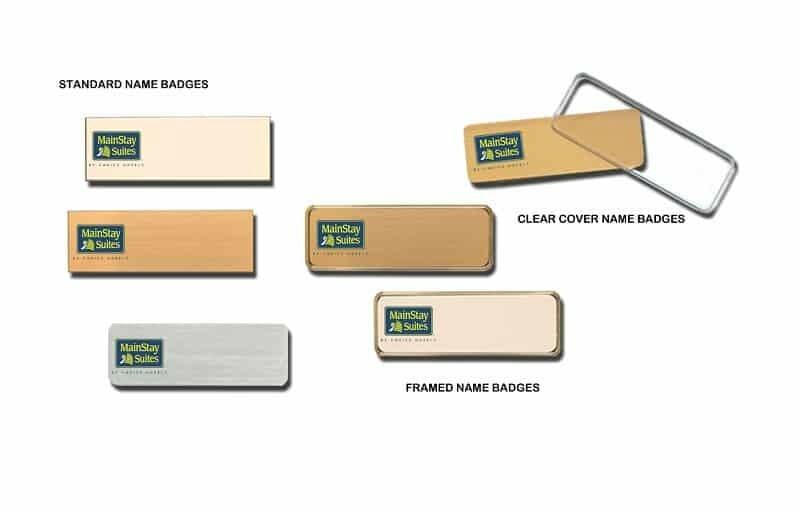 Mainstay Suites We certainly enjoy manufacturing custom name badges of all types. If you need something special give us a call. Badges are fun. These are samples of logo name badges we’ve done for MainStay Suites. Products by Name-badges.com Inc.